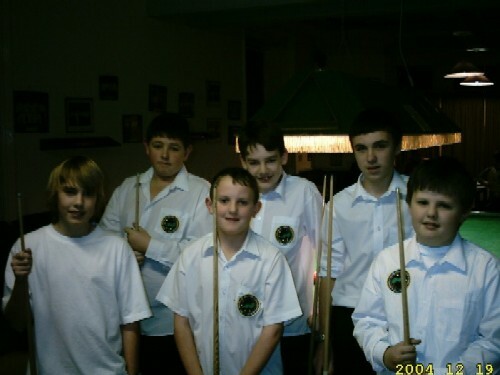 Redruth Bronze tour got underway last Sunday 7th November 2004 and it was James Freeman that came out on top. All matches where played in good spirit with good support from parents. Most of the matches where close with a few black ball games. Once again this month we saw great spirit amongst the players and much improvement in the standards of play from last months bronze competition. All the lads were looking very smart, proudly displaying their WEBSF badges. 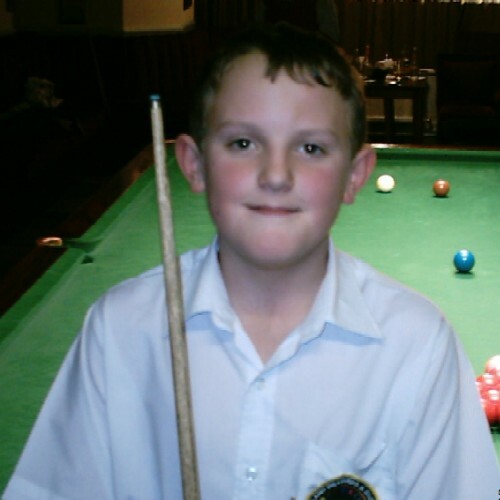 Shaun Wills Redruth RBL: Winner December Bronze waistcoat at Redruth RBL to go with the Runners-up spot last month 13yr old Shaun currently plays in the Mining Division 3 for Royal British LEgion: A real prospect for the future. The finalists played very well throughout the tournament but a special mention must go to James Freeman. Who during his group match with Troy Lynes stood up and admitted a foul on the blue, having touched it with his arm while stretching over it to play his shot. The referee did not see it. It was very encouraging to see this commendable act of sportsmanship on James` part. A reminder for us all of the of the traditions of gentlemanly conduct and good sportsmanship, that is present in snooker like no other sport. WELL DONE JAMES FREEMAN! Credit must also go to Josh Williams who could have won with last four colours in the group stages. He potted a good brown but snookered himself on the blue. He did very well for his first tournament. This the third event provided us with another different winner, Jake Stewart who produced his best snooker when called upon. Once again the tournament was played in good spirit with all the lads turning up smartly dressed in keeping with tradition and etiquette. Well done! Congratulations to Shaun Wills for reaching his third consecutive final. Thank you to everyone who took part especially Victor Wills (WEBSF Coach) who ran the tournament after a long and busy day in Plymouth the day before. The February Bronze Waistcoat saw seven entry`s with newcomer Josh Lovelock narrowly missing out reaching the semi final stages just losing on the black to the eventual winner Troy Lynes. Once again all players were well turned out and all matches were played in good spirit with every player helping to referee each others games. I was pleased with the overall standard of competition and particularly the safety aspect. One of the Highlights was the first round match between James Freeman and James Stephens which involved an excellent safety battle in a game lasting 50 mins with James Stephens winning on the black 58-51. 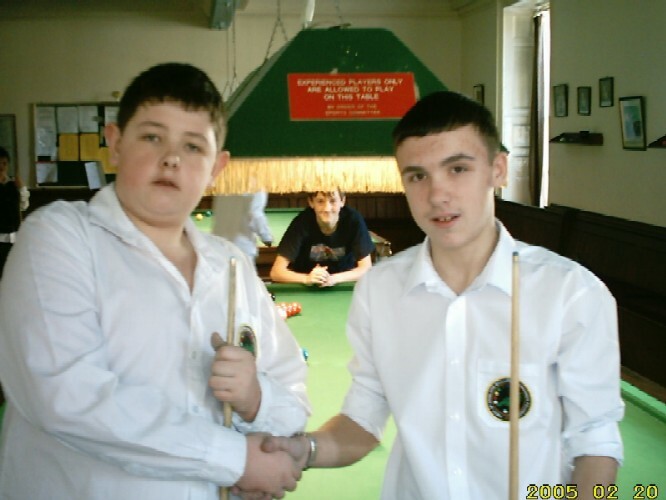 Congratulations to Troy Lynes who battled hard all day to reach his first final and potted well to defeat the ever improving James Stephens who was playing in his second final. Also a big thank you to all parents for their support and to Daniel Wills for helping with the refereeing and administration. Shaun Wills was the winner of the 5th Bronze waistcoat event held at Reduth RBL on Sunday 3 April. Wills scored well in all his frames but it was his superior safety play on the blue which won him his second Bronze tournament. Jake Stewart playing in his second final also potted very well throughout the day making a 22 break in his semi final beating last months winner Troy Lynes 71-28. Newcomer Josh Lovelock went one better this time by reaching the semi final but was defeated by the consistent Shaun Wills. Both finalists potted well in an exciting final but it was good safety play on the blue which finally set up wills to pot the final pink to clinch the match 47-31 against the talented Jake Stewart. 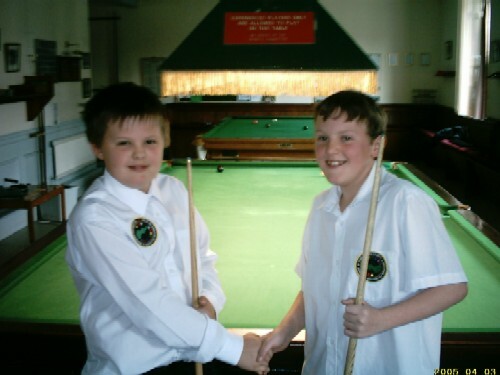 This was the final in the 2004/5 series of Bronze Waistcoat Events held at the Royal British Legion, Redruth. A good turnout with several players still able to bag a qualifying place to compete in the grand finals at Plymouth on May 7th. The players were divided into two groups, in group 1 there some excellent break building and tactical play by Josh Williams resulting in a re-rack. Jake Stewart won a closely contested group with James Stephens coming second, Williams third and Troy Lynes fourth. Group 2 saw Josh Lovelock put up a good fight against Shaun Wills and James Freeman, Freeman was under pressure to win this group to keep his grand final chances alive, this he managed to do with beating Wills into second place. The semi-finals were hotly contested with Stephens overcoming Freeman and Stewart defeated the very consistent Wills on a re-spotted black. 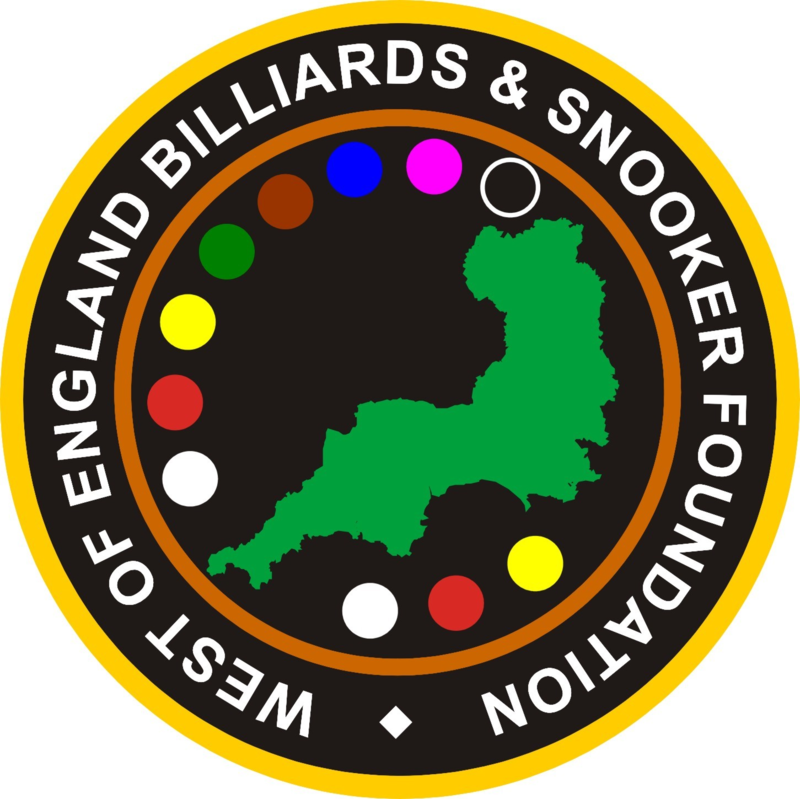 The final and third & fourth play off produced some good snooker with Freeman finishing fourth, Wills third, Stephens runner up and Stewart this months winner, his second Bronze Waistcoat event victory. Well done Jake Stewart…an excellent prospect. Shaun Wills proved the most consistent over the six events by finishing top of ranking table. Wills will be joined by three other qualifiers Stephens, Stewart and Freeman who will travel to Plymouth to compete in the grand finals later this month. Tournament Director Vic Wills was ably assisted by Daniel Wills with refereeing duties.